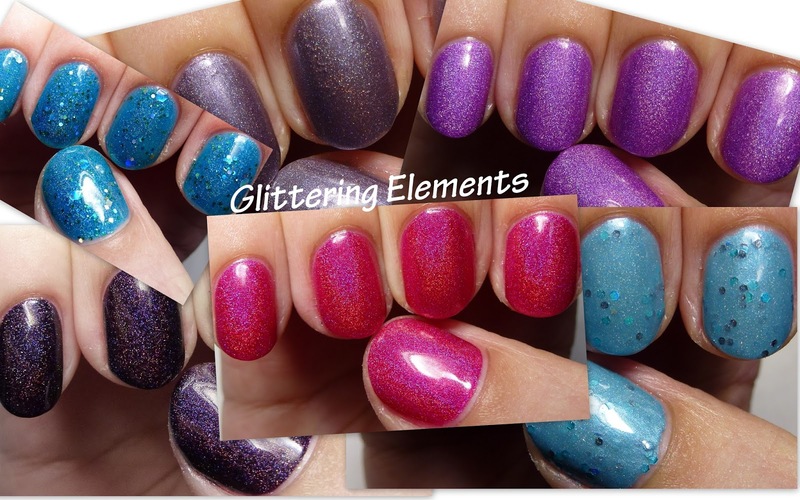 The first Glittering Elements shade I ever tried was Alexander, which is long gone. It reminded my a bit of Enchanted Polish Stiletto Pumps which I missed. 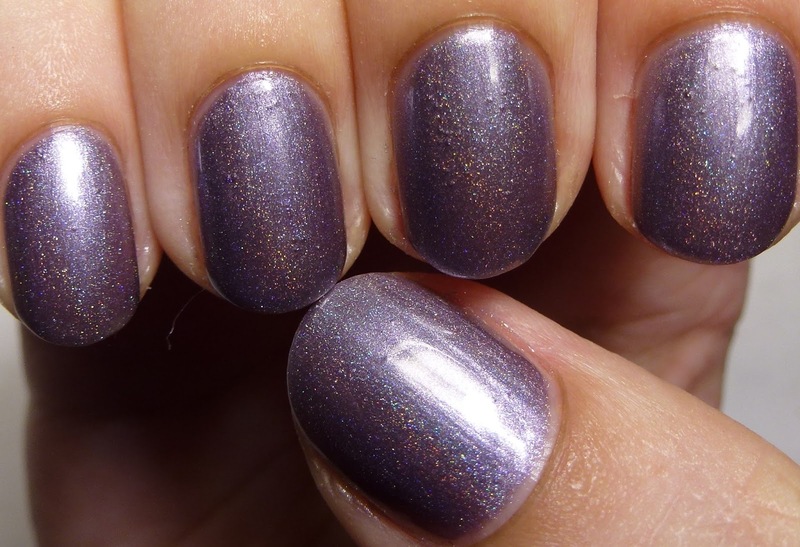 Sheer, cool lilac-gunmetal metallic with subtle linear holographic shimmer. Four coats. Bella is nice cool bright from last year. 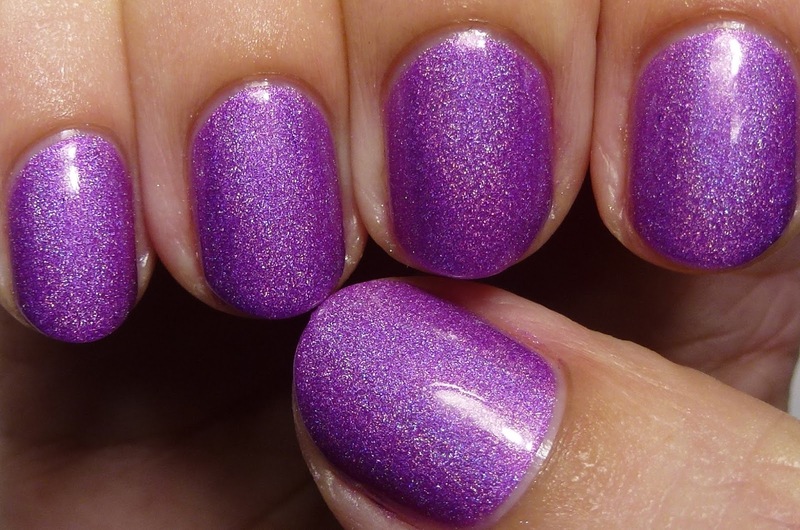 Linear holographic shimmer in a medium red-violet base. Four coats. 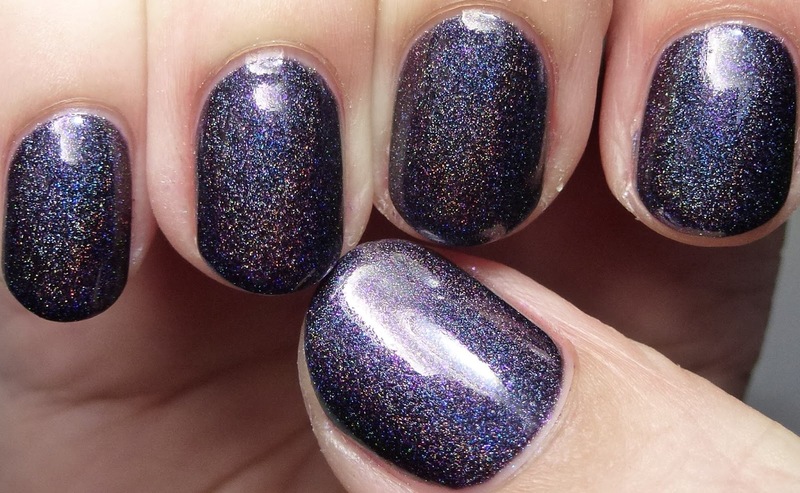 Black Magic a sparkly dark holo with perfect formula and shimmer flecks. Linear holographic shimmer and indigo-to-magenta color-shifting shimmer flecks in a black base. Four coats. 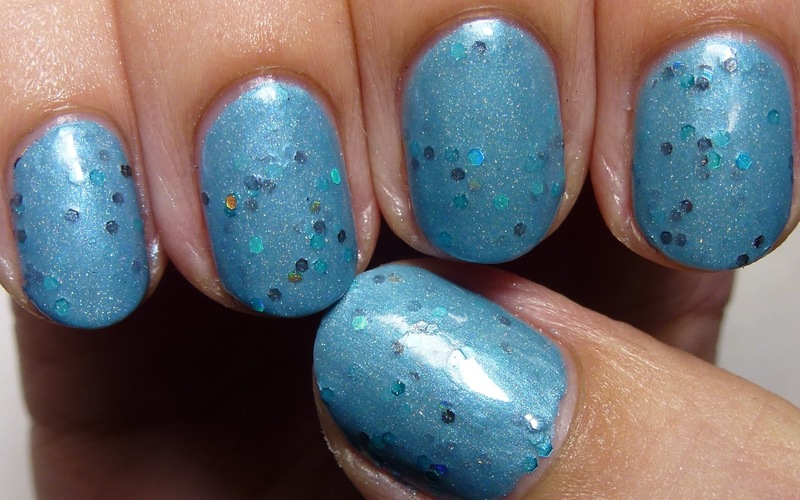 Blizzard is a jelly holo shade from 2013 with various glitters. Nice on its own or over another color. 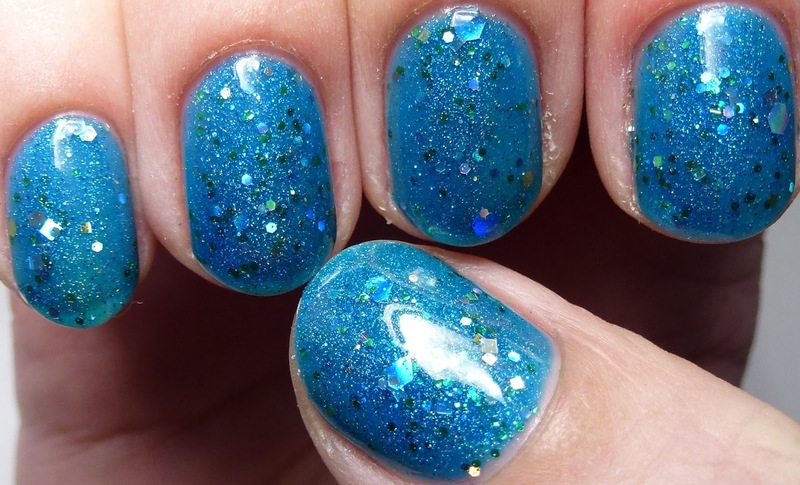 Scattered holographic shimmer, green glitter, and holographic glitter in a translucent brilliant blue jelly base. Four coats. Boy Blue is one of the brand's first shades, with a creme blue holo base and holo glitters. This one has been gone for a long time! Blue and black holographic hex glitters in a cyan frost base with subtle holographic shimmer. Three coats. Cherry Bomb is one of my faves - it really glows and has a great formula. 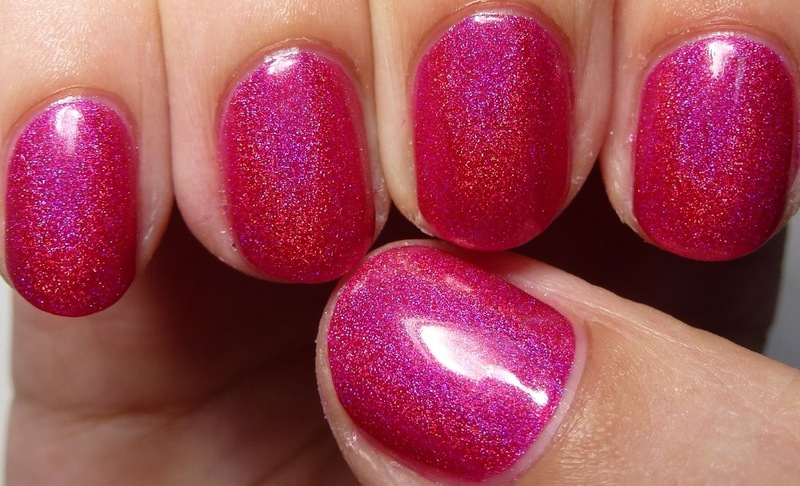 Linear holographic shimmer in a cool red jelly base. Four coats.